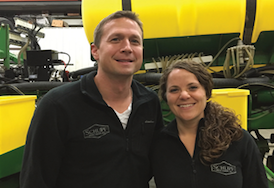 Schlipf Precision Ag is here to increase the efficiency and profitability of your farming operation. Bottom line: Your success is our goal. We are farmers who know the value of reliable equipment, technology, and information. Most of the products and services we sell, we use ourselves – whether it be planter attachments, fertilizer systems, or decision making software. We invite you to explore these pages and learn about the various products and services we carry. Then, either contact or visit us so we can introduce ourselves. 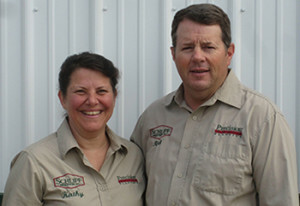 Rich and Kathy Schlipf have been involved in farming their whole lives. While their farm and business have changed shape over the years, their desire to be a proactive part in feeding the world and leave their farm a better place for the next generation has been a constant. 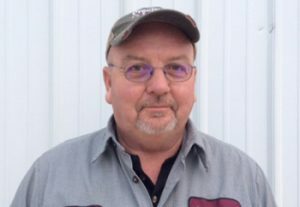 Rich leads the management decisions at Schlipf Precision Ag, and enjoys talking to growers, helping them make decisions to benefit their operations. And the business could not be successful without Kathy’s time spent in the office taking care of details that keep a business running: Invoicing, paying bills, keeping everyone well fed, and chipping in wherever extra hands are needed. Chris and Katy and their two children live just north of the farm and enjoy being part of the family business. Chris manages the bookkeeping and Katy assists with marketing and support for new technology. Dan Sellers, Mark Jackson, Darren Wilkinson, and Preston Henry comprise the rest of the team based at Milford. 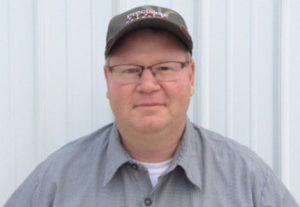 Dan has an Ag Systems Engineering degree from Purdue and is our trained Precision Planting Technician. As is typical of any small business, they all find themselves filling many roles. From answering tech support calls to assisting with prototype testing, from equipment installation to on farm service calls, from making sales calls to trouble-shooting, their days are filled with variety.